This year, a pretty mind blowing collaboration happened– and somehow it went entirely under my radar. I the event that you missed it too, I feel compelled to tell everyone on the planet. 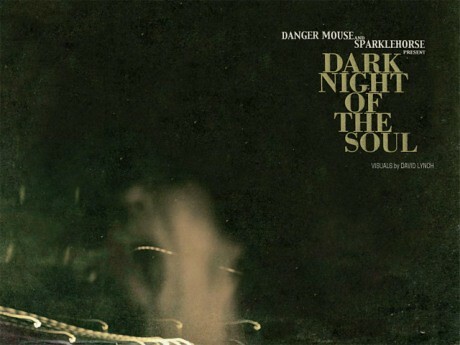 Danger Mouse made an album with Sparklehorse. It’s called Dark Night of the Soul, and it’s got cameos by people like The Flaming Lips, Super Furry Animals, Julian Casablancas of The Strokes, Frank Black, Iggy Pop, Nina Persson of The Cardigans, and Suzanne Vega. As if that wasn’t amazing enough, they are releasing it as a book, with visuals by none other than film legend David Lynch. As awesome as all this is, and as much as I want to share it with you, there’s another reason entirely why I’m bringing it up. Due to a dispute with the record label EMI, the album may never be released. Let’s think about that for a second, shall we? This is a way that an artist is encouraging the consumer to find the material by any means necessary. Take a left at the weird intersection and keep driving until you hear noise. It makes me think about graffiti and public art– about punk rock, and about Doing It Yourself. This is putting the effort of actually obtaining this music into the hands of the consumer. It’s a fun idea- made even more fun by the prospect of breaking the law. Shaking up the simple formula of going to a store (or a website) and buying it, and instead having to get it by some other means. In my head there’s some bizarre Lynchian scavenger hunt going on, where one has to follow a number of clues and meet a number of pretty ladies and backward talking midgets to obtain the fabled album. In reality, it’s just a matter of navigating the internet or asking friends if they have it. But still, there’s an element of scarcity there– and the added value that scarcity implies. There’s effort involved, as well as interaction, not to mention that since it’s released with a book, it’s got a physical component, too. This thing is clearly more than just an album, it’s a full scale art experience. Is it different because it *has* to be this way for legal reasons, as opposed to being a chosen aspect of the artwork? What kind of lengths would you go to, to get a copy of a favorite band’s album? Would you be more or less inclined to participate in finding it if it meant breaking the law in a minor way? this is quite possibly the weaselliest thing i've ever heard. I too was intrigued by this whole album and concept when I heard about it a while ago, but then I listened to the album… Meh. The music didn’t do anything for me. I usually like at least some of anything that Dangermouse has his hands in. The album was a concept of just giving backing music to all these other artists and have them put whatever they wanted on top. As a result, it seems to me that no one had any real emotional investment in it, and the album seems half-assed, discombobulated, and lackluster. Maybe the dispute with EMI more had to do with the fact that the album was dull. I actually quite like the album. It’s not a heartstopper by any means, but it’s enjoyable. & the title track knocks me flat. Also, the photos are pretty incredible. If only the photo book wasn’t sold out & super hard to get a hold of. Damn, I was going to see if the book was still around. I liked the sound of it. The album is very… like floating through an airport haze with noise-cancelling headphones on. I do agree, the title track is fantastic. Oh! I’ll have to check it out! Thanks! Dark Night of the Soul, or, find it yourself.